Getting someone to sign on the dotted line to face Khabib Nurmagomedov inside the Octagon seems to be an issue for Ultimate Fighting Championship (UFC) matchmakers, according to this. Michael Johnson, however, isn’t “scared” to mix it up with one of the most dominant lightweights on the roster, as he personally called for a fight against “The Eagle,” which is set to go down at UFC 205 on Nov. 12, 2016 in New York City. It’s all a part of Johnson’s plan to leapfrog everyone in front of him in the title race. Khabib’s rise to fame and dominance inside the eight-walled cage is in large part to his outstanding wrestling skills. While Michael appreciates and respects his specialty, he knows Khabib can get a bit sloppy with his technique. Johnson is fresh of a first-round knockout of Dustin Poirier (see it here), his first win in over a year. Nurmagomedov, on the other hand, has been on a roll his entire career, currently enjoying a 22-fight win streak including seven straight victories inside the Octagon. Will “The Menace” be the one to ruin his mint mark? It seems like everyone is hating on Conor McGregor these days. Win, lose, draw, inside the Ultimate Fighting Championship (UFC) Octagon or not, the Irish superstar always seems to catch flack for whatever he does. Fellow fighters don’t respect his gift for gab while specific fight fans don’t feel he’s as good as advertised. So it shouldn’t come a surprise that former UFC lightweight champion Rafael dos Anjos, who McGregor was originally scheduled to fight at UFC 196 before RDA pulled out and was replaced by Nate Diaz, believes McGregeor didn’t defeat Diaz at UFC 202 this past August. As a matter of fact, the Brazilian thought it was an overly sloppy affair between two tired adversaries. While RDA is entitled to his opinion, the reboot between McGregor and Diaz got “sloppy” on the heels of countless exchanges on the feet and grueling battles along the cage. 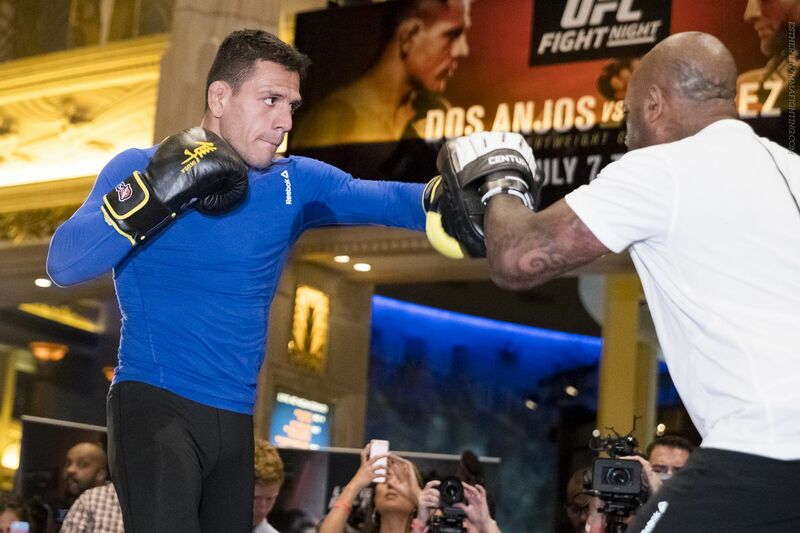 Dos Anjos even gave Diaz the nod on the scorecards after running into trouble in Round 1. Dos Anjos may very well meet McGregor or Diaz (in a rematch) down the line at 155 pounds. But for now, he’ll have to keep his focus on his upcoming main event tilt with surging Tony Ferguson at UFC Fight Night 98 (TUF: Latin America 3 Finale) on Nov. 5 from Mexico City, Mexico. 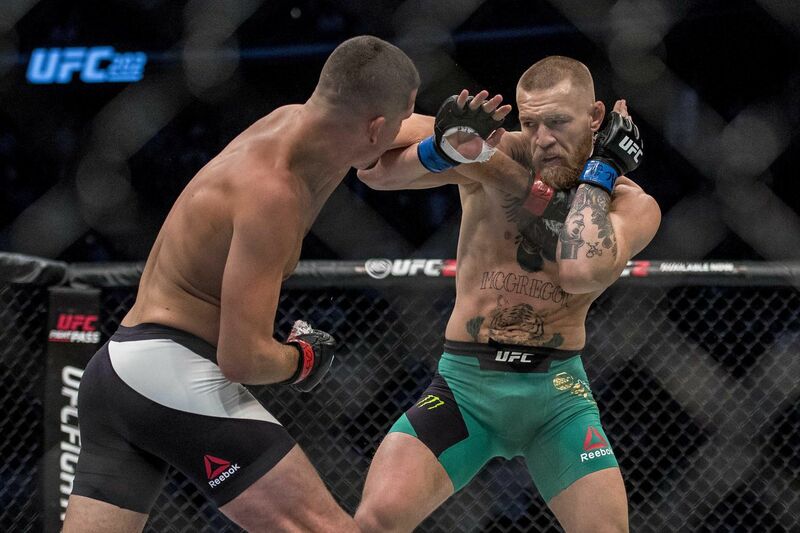 Conor McGregor beat Nate Diaz via majority decision in an exciting fight at UFC 202, but former UFC lightweight champion Rafael dos Anjos disagrees with the judges. Dos Anjos, who holds a win over Diaz and trained to defend his belt against McGregor earlier this year, wasn’t impressed with the welterweight bout, praised by many as one of the best fights so far in 2016. The Brazilian lightweight scored it for Diaz, giving him the edge in three of the five rounds. McGregor tied the score against Diaz following his second-round loss to the Stockton native back in March, but the future of both fighters is still up in the air. Dos Anjos, who suffered his first defeat in years in July, losing his UFC title to Eddie Alvarez via first-round knockout, believes “The Notorious” has a good chance at moving back to the losing column if he faces Alvarez for the 155-pound gold next.